For years, the airline loyalty industry has been debating over what the definition of a high-value customer is. One that spends big on airline tickets or one that filters millions of credit card miles through the banks? Recently at the Loyalty Event in San Diego, Mike Hecht from Delta noted that they don’t mind whether their customers are loyal due to credit card spend, or due to bum-in-seat flying – either way, they’re being loyal and should be rewarded with status. There is no one single metric in which to value a customer. It’s actually a balanced scorecard with inputs from all areas of the greater business. 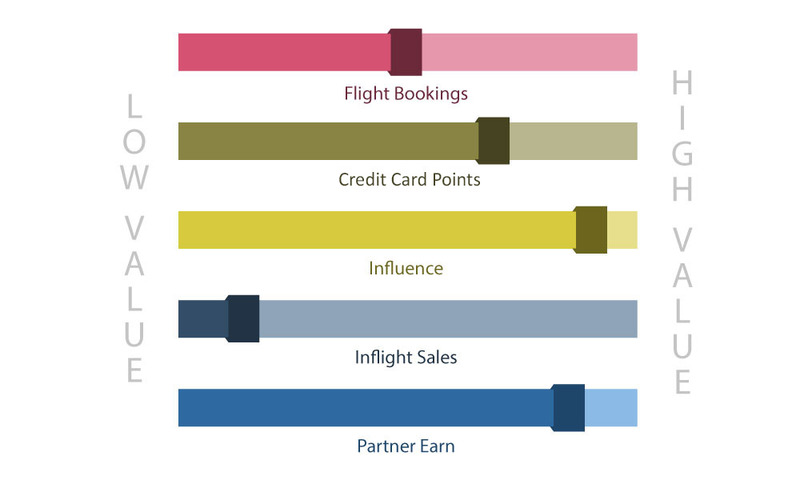 Here, I’ll share the data insights and analytics used around customer intelligence and information used to understand how loyalty to frequent flyer programs and airlines is truly measured – with high accuracy. Loyalty professional David Feldman talks about how ‘Airlines are now investing what seems to be the GDP of several nations in mining Big Data’. This couldn’t be more accurate, especially as airlines race to find the next big thing inside their data sets. The magical formulas that will transform revenues into record profits increase yields, and ultimately foster a new wave of loyalty. This all starts with understanding the customer and their current and potential impact on each area of the overall business. 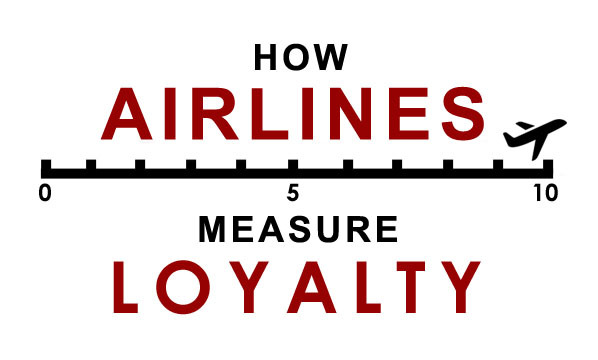 Major global airlines also track your overall loyalty based on many factors, with each determining product holding a ‘weighting’. For example, if you book a first class flight, it’s clearly worth more as a weighted item than crediting your $100 Hertz rental points to the frequent flyer program. But if you’re sending 1,000,000’s of points from Hertz to your FF account – it’s possible you are more valuable to the program than a mid-tier status member. In fact, just because you’re a top status frequent flyer with the airline does not mean you’re the most important customer in their database. The membership card and status you receive from the airline is generally considered what the customer side of the loyalty equation looks like. This is what customers receive and with the status, it has associated benefits that are standard. On the FFP side, your loyalty value is more complex, and while you’re seen as a Gold, Platinum etc. – your true ‘status’ within the FFP is based on your influence, contribution and future potential value. For example, let’s say you fly a few times/year in economy – but you just won $10M in the lottery. Some airlines will be tracking this type of activity right now (yes, it happens) and your ‘future potential’ value sky-rockets as you are likely to be blowing some winnings on a ticket somewhere you’ve always wanted to visit. Your value to the airline, for a short time – can be higher than your best friend who is Platinum status and regularly does 50 flights a year. If you were both on the same flight, it’s very possible that you would receive an upgrade over them – despite your friend appearing to have higher status. The number of travellers with you:Not only are you shelling out the cash for your own ticket, but there’s your partner, kids and Uncle Jim. It’s your money and you just became worth 4x more than a solo traveller on that flight. The share of wallet on the home airline to partners, to non-partner airlines (many airlines have insight to how often you fly on the competition, so it’s no surprise your value to a FFP can change depending on your loyalty). In-flight sales/duty-free spend: In-flight sales can be high margins for airlines, and if you’re one of the few who spend money on shopping in the air, you’re padding the carrier pockets with extra cash and this is activity airlines want to encourage. Your value will increase as a result. The number of credit card points earned: FFPs generate most of their revenue from banks, which comes from the money you spend on your credit card. The more points you earn from credit cards is more cash the FFP has made. It’s a beautiful win: win scenario and in fact some airlines will give you top status based on credit card miles without ever needing to fly! The number of miles used, and how they are used inside the FFP. Not all miles are created equally, just the same as they’re not burned equally. If you’re redeeming miles on toasters, new golf clubs and economy class seats – these don’t necessarily net you the best bang for your buck , but the FFP will give you extra kudos for being silly with your miles burning. Thus, you become more valuable as a customer. Media Data: Did you recently purchase a $5M house in Miami? Recently sell a business or have a financial windfall? Chances are you’re likely to travel there more often, and the FFP will know of co-brand opportunities in the local region which may be most utilised by affluent frequent flyers.